One of my favorite things besides crafting is baking (though I have been taking a bit of a break thanks to some food allergies). And a huge part of the holidays for me is making sweet treats! Carly loves cookies! And sharing cookies of course. 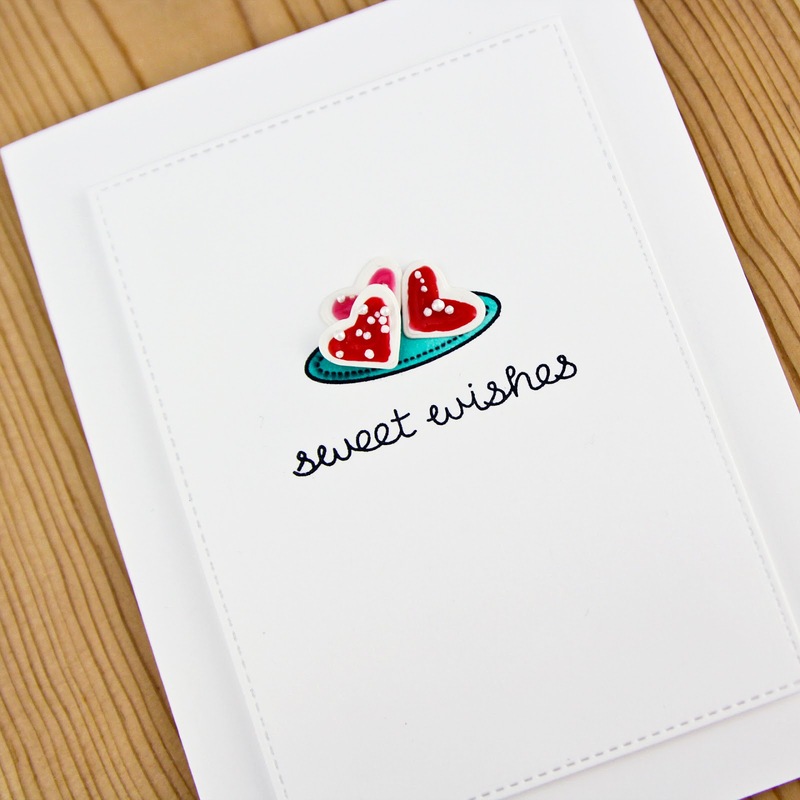 To create this card, start by die cutting a stitched rectangle from white cardstock. On the white cardstock, stamp plate and color. I used Copic Mint Green BG13. 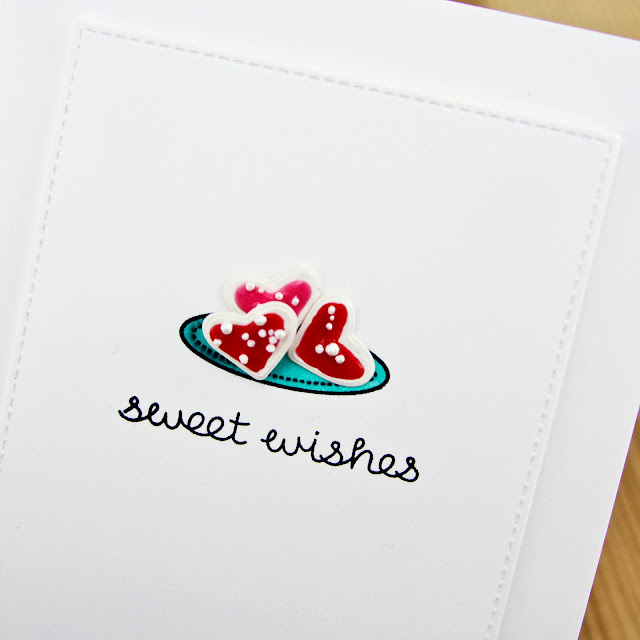 Die cut hearts from cream cardstock and apply Nuvo. 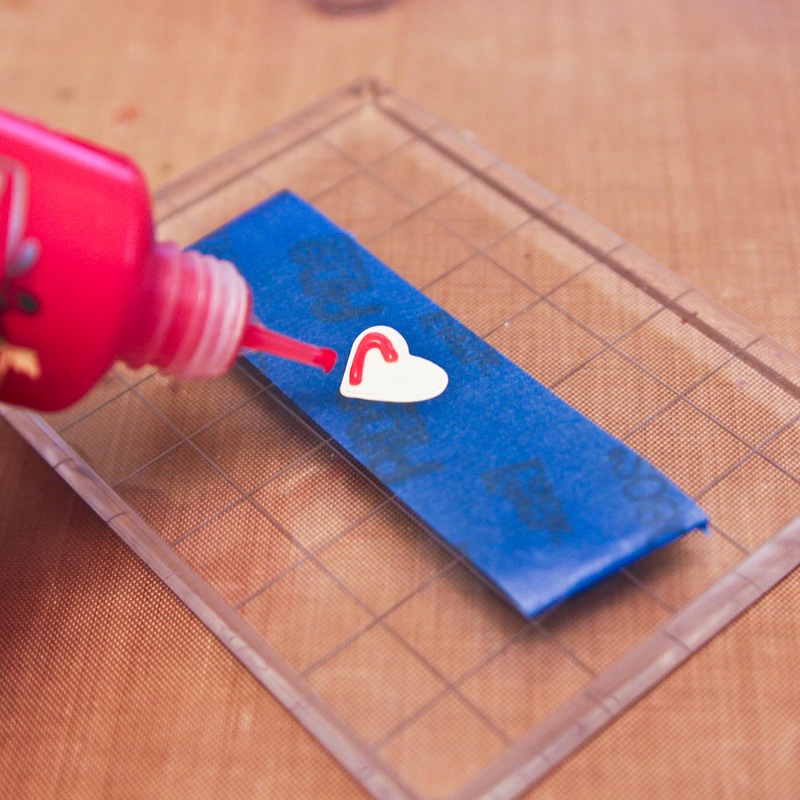 I like to place a loop of painter's tape on an acrylic block, stick my die cuts to it and apply the Nuvo. It makes it easy, hands free and then I can just set it aside to dry. If I leave them on my craft mat, I always smudge them. To the wet Nuvo, apply some Prills as sprinkles. 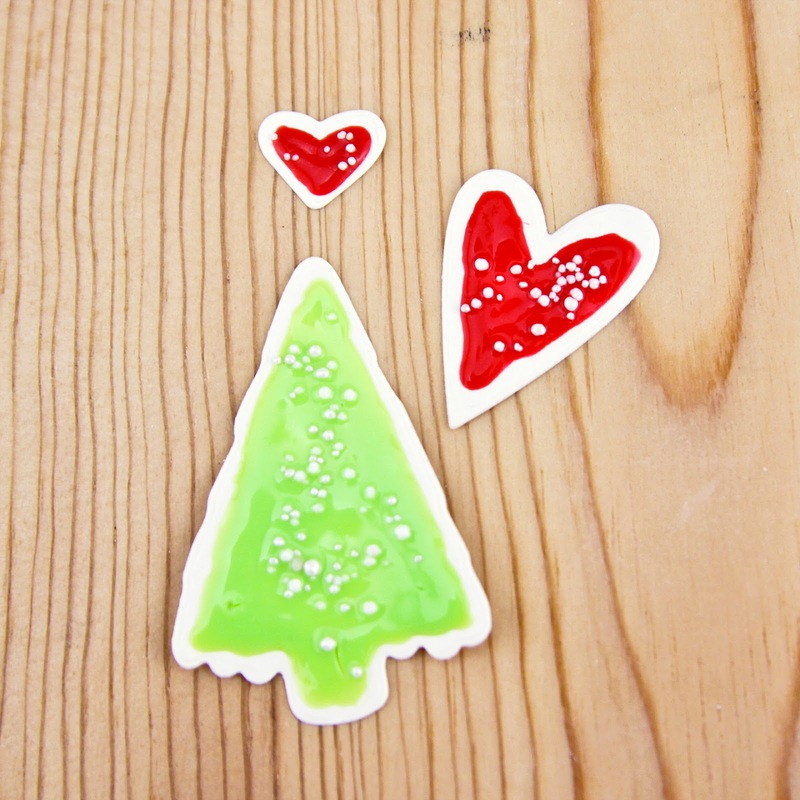 These little heart "cookies" make a great Christmas or Valentine's card and this Nuvo "frosting" looks great on other dies too. 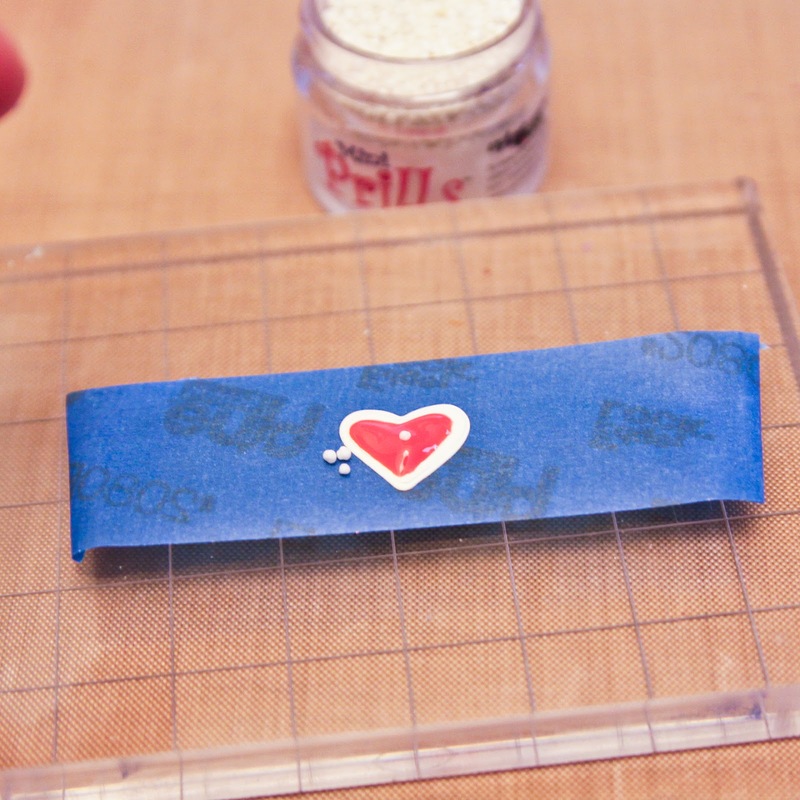 Adhere rectangle to a card front with foam adhesive. So easy right?! Brilliant! 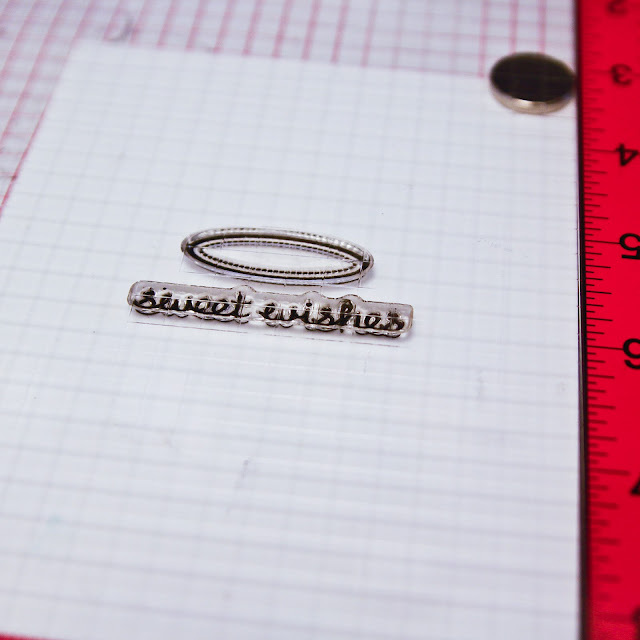 And they look good enough to eat!